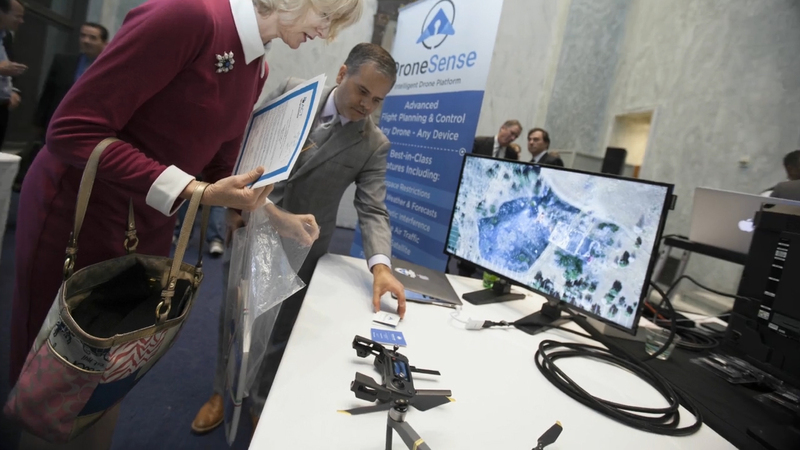 Sonim Technologies, in partnership with ACT | The App Association, held an event on Capitol Hill entitled “The Future of First Responder Technology" last week. SAN MATEO, Calif.--(BUSINESS WIRE)--Sonim Technologies, in partnership with ACT | The App Association, held an event on Capitol Hill entitled “The Future of First Responder Technology” to highlight how innovative hardware and software solutions are improving the effectiveness and efficiency for all public safety disciplines. The event created awareness among decision makers on Capitol Hill regarding the importance of technology, interoperability and the role these solutions play in improving communications, productivity and the safety of first responders. With the rise of FirstNet, there has been a rush of innovation into the industry, but last week, Members of Congress and their staff got the opportunity to see first-hand how this technology is impacting day-to-day operations. Captain James Sarkos, the SWAT and Special Investigations Section Commander for Atlantic City Police Department, discussed how the department is using technology to improve effectiveness in combating serious crimes in the wake of unprecedented budget cuts. Shing Lin, the Chief Technology Officer for Harris County (TX) Sheriff’s Department, described how local first responders benefited from advanced communications solutions to improve their search and rescue efforts in the wake of historic flooding due to Hurricane Harvey. Scott Edson, the Executive Director for Los Angeles Regional Interoperable Communications System (LA-RICS), demonstrated how new in-vehicle technology has paved the way for improved situational awareness and fostered an environment for predictive policing. Mike Duyck, the Fire Chief and CEO for Tualatin Valley Fire & Rescue in Tigard, Ore., discussed how information gathered from drone technology and other inputs are creating a more robust common operating picture for fire fighters as they battle structure fires, forest fires and other potential life-threatening emergencies. A key takeaway for attendees was that while technology is rapidly improving, these complex problems require continued collaboration and interoperability between companies to solve the ever changing challenges a first responder encounters daily. Sonim Technologies (http://www.sonimtech.com/) is a provider of mission critical solutions designed specifically for professionals in the public safety and defense space. The Sonim solution includes ultra-rugged, mission ready LTE handsets, applications and a suite of public safety-grade accessories, collectively designed to increase the productivity, accountability and safety for today’s first responders. Sonim’s commitment to delivering the most reliable and mission ready handset is amplified by our industry-leading, 3-year comprehensive warranty, which has redefined user expectations for ultra-rugged technology. The company is headquartered in San Mateo, Calif., and offers its products with mobile operators around the world. 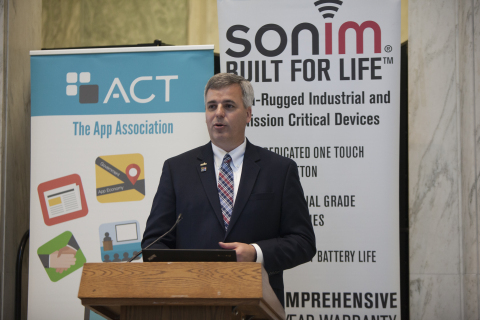 Sonim Technologies, in partnership with ACT | The App Association, held an event on Capitol Hill entitled “The Future of First Responder Technology."